The Beach Boys are a cornerstone of American pop culture. They recorded tracks about surfing, motorbikes, muscle cars, drag racing, beaches, meeting women on the beach, and were generally the representation of American pop culture for the early part of the 1960s. They sang about America in the same way the Beatles did so about England–and made a worldwide reach. However, one of their tracks, “409”, was the one that stuck into my head as a kid back in 2002. Since then, even though I’m a Chrysler junkie, the early Sixties Impala SS became a a favorite of mine, especially ones like these. 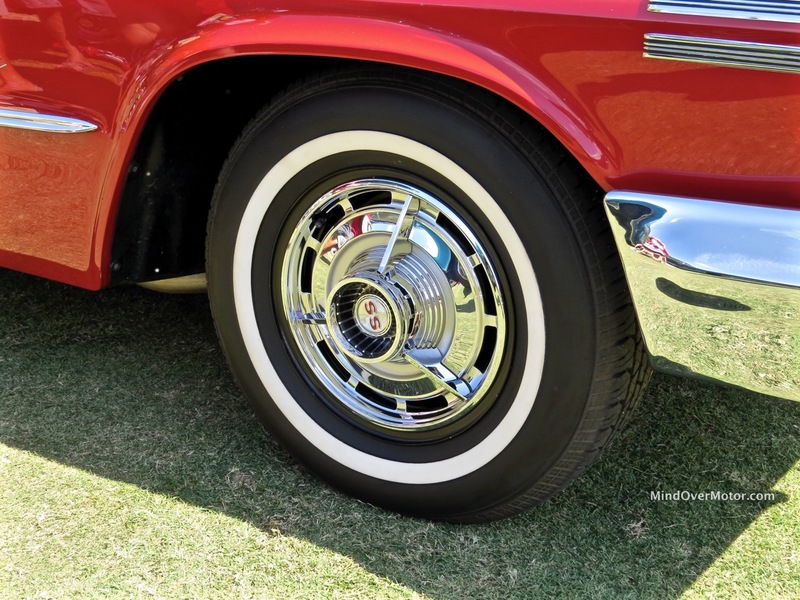 These look best when they’re fully straightened out, proudly wearing their chrome and squared-off lines. This was the family man’s hot rod, with a big wheelbase, plenty of room, and a serious amount of punch hiding under that acres-long hood. 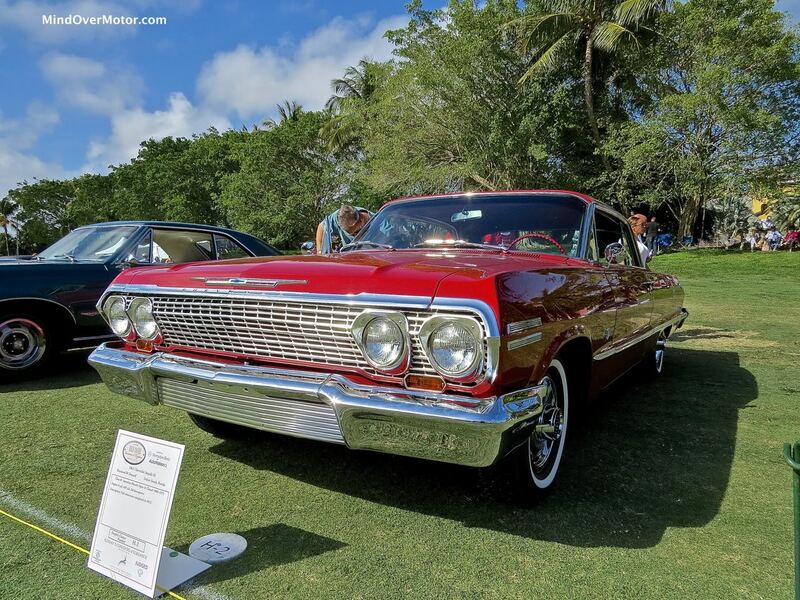 This Roman Red 1963 hardtop packs the 340hp version of the 409-cid V8, backed up by a 4 speed manual and a Hurst shifter. 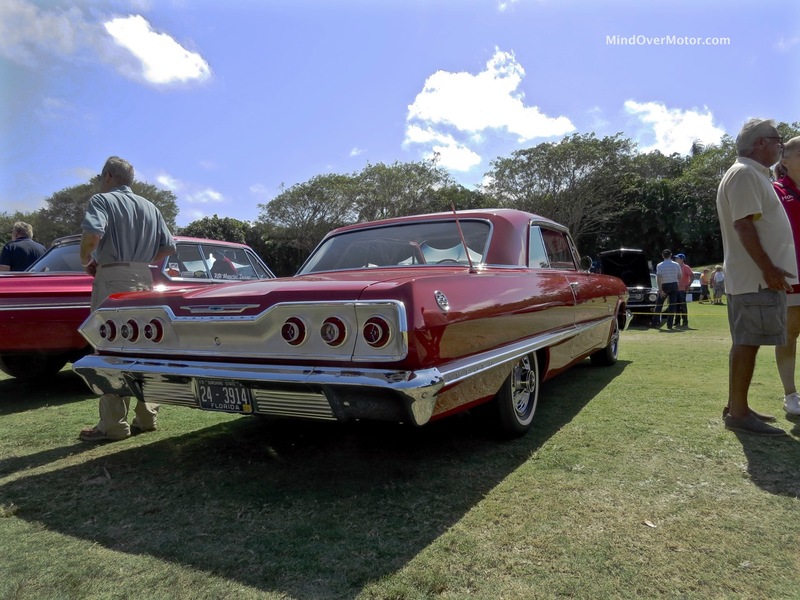 Sitting in the corral with a few other muscle car classics at Boca this year, this Impala did not win any awards, but it certainly shined brightly amongst its peers. Although the Pontiac GTO hadn’t come out yet (and the phrase “muscle car” therefore wasn’t fully into the American mind), this was, in a way, the precursor and a drag racing legend in its own right. 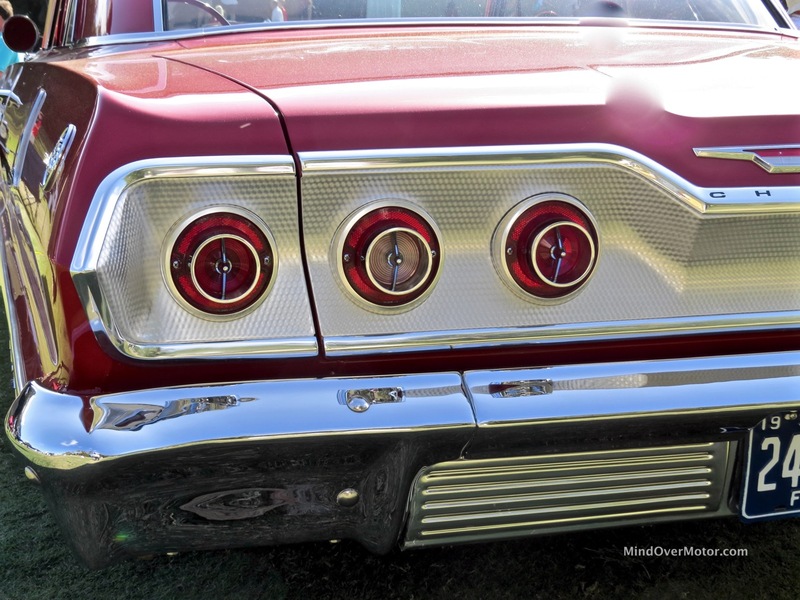 Enjoy the photos of this classic six-taillight Chevy–because those taillights are all that will be left after you say “Wow”. Previous PostJaguar F-Type R Coupe Review: The Best Luxury Sports Car under $120 grand?Next PostR34 Nissan Skyline GTR vs R35 Nissan GTR: A JDM Pipe Dream! Great classic! 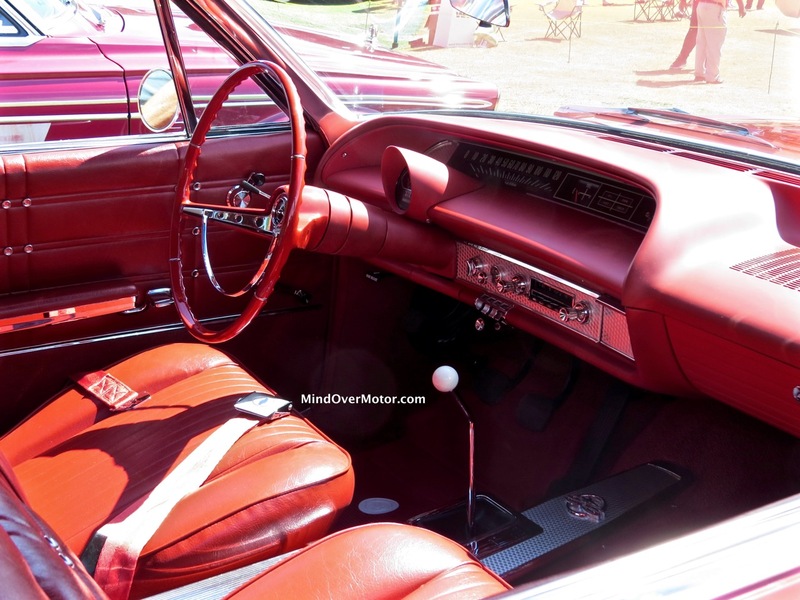 Love the orange interior with the red exterior!